Garnets are available in many colors but dark red is traditional as a birthstone. Constancy, true friendship, and fidelity. January’s birthstone, the garnet has always been extremely popular, due to both its beauty and durability. Garnets are formed from silicate minerals and are generally classed into two subgroups. The first of these contain aluminum which are Pyrope, Almandine and Spessartine: and the second which contain calcium are Uvarovite, Grossular and Andradite. The garnet is one of the most prolific gemstones and there is hardly any other stone that has such a wide range of colors and sizes. The green garnet from Urals, is very near to priceless due to its unusual size at formation. Garnets have been well documented throughout history as a much sought after gemstone. The oldest known finding was of a necklace made of garnet beads that was dated at 3000B.C., which was found in the grave of a young man. Garnets have been used for many things and in many ways over the centuries. With their extraordinary size variance (some that are as large as a grapefruit) the ancient romans used to hollow them out and use them as a cup. The Talmud even claims that the only light on Noah’s ark was from a large garnet, finely cut and glowing. In the Middle Ages in Europe the garnet was used by commoners as a means to augment their faith and constancy in it. Worn the soldiers in the Crusades, the stone was used as a talisman of a warrior by both Christian and their enemies. The Aztecs and Mayans, as well as Native American and African tribes believed that the stone would enhance their awareness because it contained a “flash of lightning”. They also thought it was greatly beneficial in creative endeavors. In Asia, they were known to use the blood colored garnets as a weapon, even firing them as bullets believing that they would inflict greater damage than a normal bullet, as well as make the wearer invincible. Today the garnet is the birthstone for the month of January and is often given as a symbol of eternal friendship. Although the image in most people’s mind of a garnet is the popular red colored stone, there are some rarer varieties that are responsible for having collectors everywhere in bidding wars. For instance, the Tsavorite is a very recent discovery and not at all what one would think of when looking to purchase a garnet. They vary in color from a light to an emerald green. The Rhodolite garnet features colors ranging from a gorgeous pink to a deep violet; these are most often found in Sri Lanka. The rarest of all the garnets is the color changing garnet which is a mixture of two types the pyrope and spessartite garnet. The color change is similar to that of the alexandrite, but far more acute in nature, it transforms from blue to violet in the light. The word Garnet comes from middle english ‘Garnet’ or ‘Gernate’. This comes from the old french ‘Gernate’ or ‘Grenade’. This comes from the latin ‘grānātum’. Granatum comes from the pommegranite or Pome (apple). A nesosilicate material with formula X3Y2(SiO4)3. It has a cubic or rhombic dodecahedron crystal habit with isometric/cubic rhombic dodecahedron and icositetrahedron crystal systems. Garnet has a vitreous and somewhat resinous luster. 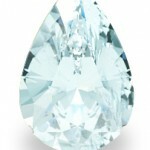 It has a hardness of 6.5–7.5 on Mohs scale and a refractive index of 1.72–1.94. Although many natural garnets are still to be had, today synthetic ones have also been created in order to keep up with increasing consumer demand. These are made by flame fusion, which is a method that allows them to retain the look, feel, and durability of a natural gemstone.